Don't Let The Political Correctness Police See This One! Recalling the one-of-a-kind buildings that have made touring 'merica's back roads such an awesome experience, this assembled resin kit is layout ready. 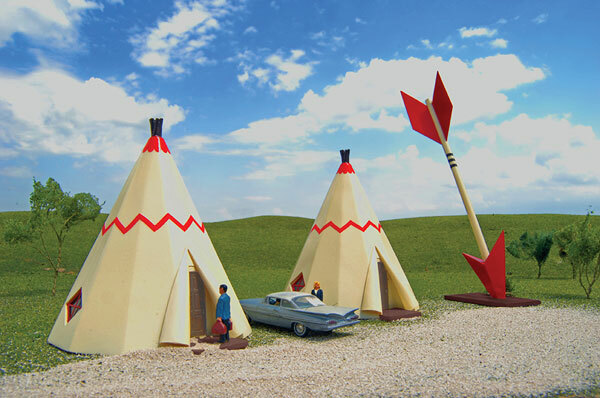 Copy this Teepee Hotel to your MY ACCESSORIES roster.